When you pass out your class 12th, there are numerous career opportunities to do after class 12th. There are some traditional courses list to do according to your career stand. We also discuss about career opportunities, best courses after your class 12th. This is preferable for 12th Arts Stream students. We also discuss about the best courses after 12th commerce, after 12th science. This is traditional degree course for 12th passed ARTS. stream students. You can choose any honos. degree or general degree in B.A. course. This opportunities goes to school, college job specially. Some Well-Known Courses in B.A. This is popular course in modern days. There are high job opportunities after complete Journalism and Mass Communication. Job vacancies are increasing day by day for this field. 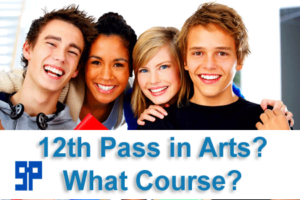 This is also popular course to do after 12th pass in Arts. stream. This is 3 years management course. There are various type of great job opportunities in banking sectors, financial service. After that you can do M.B.A. degree. There are also job opportunities in USA, UK, Canada. This is also popular in modern days. There are various job opportunities according to our mobilization age. B.A. in Fashion designing Course is for 4 years. After that you can enter in flim industry or designing company. If you like or you have passion for Law Department then it is your desirable career course. This is for 5 years course.